When we first moved to Montana, one of the first things I noticed that made me feel “at home” was the local IHOP on the way home. There’s something so comforting about knowing that one of our favorite restaurants was just a few minutes drive away, and for a family that enjoys eating breakfast whether it’s 8AM or 8PM, it’s a nice thing to know. I’ve been enjoying IHOP for years. Their all-day breakfast options really hit the spot when you’re looking for some freshly cooked pancakes or sizzling bacon. Usually I get their pancake combo – 2 eggs, scrambled, with bacon, hash browns and two buttermilk pancakes. During our last trip to IHOP, I decided to try something different and try one of their featured signature pancakes. Red Velvet Pancakes: Rich chocolaty red velvet pancakes, drizzled with cream cheese icing, a dusting of powdered sugar and crowned with whipped topping. Sweet Strawberry Pancakes: Our fluffy famous buttermilk pancakes crowned with cool strawberries in a glaze, drizzled with cream cheese icing and crowned with whipped topping. Whole Wheat Pancakes with Banana: Wholesome and lightly sweet, fluffy whole wheat pancakes topped with fresh sliced bananas. For my breakfast, I decided to try out their Sweet Strawberry Pancakes – their #2 best selling signature pancake. The order was placed, the table was set, and my tummy was rumbling. A few minutes later, the pancakes arrived and they looked just like they were pictured on the menu. To say that the Sweet Strawberry Pancakes were good would be an incredible understatement. They were beyond delicious. Typically when I eat my IHOP breakfasts, I start off with the bacon and the has browns. This breakfast, though, was different. I just could not stop eating the Sweet Strawberry Pancakes. I took one bite and I was hooked. The sweetness of the strawberries and syrup and the smooth creaminess of the cream cheese frosting blended perfectly. Topping a piping hot and fluffy pancake, it created the most awesome bite of pancake ever. For the first time, my pancakes were finished before any other item on my plate. I haven’t tried the other two flavors of signature pancakes yet, but I’m sure they’re just as delicious. 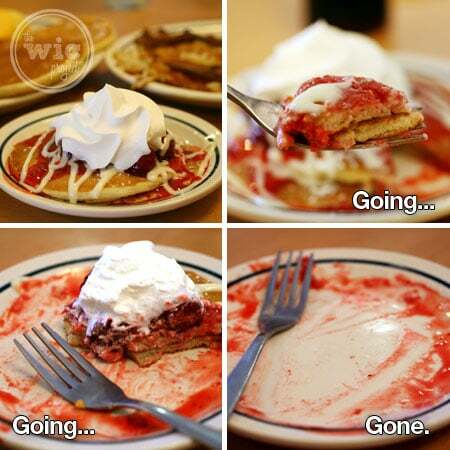 The next time you head out to your local IHOP, make sure you take a gander at their limited time signature pancakes. But hurry, these signature pancakes will only be available through September 2nd. Have you tried any of the IHOP signature panckaes yet? IHOP®, known for its world famous buttermilk pancakes for more than 50 years, is showcasing a trio of special pancake creations this summer designed to further inspire the American breakfast experience. Red velvet pancakes, sweet strawberry pancakes and whole wheat pancakes with banana offer guests a classic, seasonal and wholesome choice and demonstrate the family-friendly breakfast giant’s commitment to continually offering innovative breakfast options all day long. One winner will receive a $25 IHOP Gift Card. This giveaway has ended and is now closed. I’d love to try the Whole Wheat Pancakes with Bananas!! I want to try the Red Velvet Pancakes. Ohhh!!! I hope we win!! We love IHOP! I want to try the Sweet Strawberry Pancakes…although I love their New York Cheesecake Pancakes too! My first choice would be the Red Velvet Pancakes. I’d like to try the Red Velvet Pancakes. I would like to try the Red Velvet pancakes. I wanna try the red velvet! Whole wheat with banana for me! The whole wheat sound delicious. I’d like to try the whole wheat with banana. I’d love to try the Sweet Strawberry. I’d love to try their red velvet pancakes! I want to try the Sweet Strawberry flavor. I’d most love to try the whole wheat pancakes with banana! I want to try the whole wheat with banana. I think I would like to try the strawberry pancakes. Thanks for the chance to enter. I am sure that I would love the Sweet Strawberry! i was at ihop the other day and wish i would have tried to red velvet pancake! Chocolate Chips Pancakes !! I LOVE chocolate SOOO much , i literally eat chocolate everyday . I’d like to try6 Red Velvet…sounds very good!! Whole wheat pancakes with bananas–sounds so good! I really want to try the red velvet pancakes! I want to try the red velvet pancakes. They sound delicious. I would like to try the whole wheat pancakes with banana. Sweet Strawberry! Mmmm…sounds delicious! Thanks! New York cheesecake or red velvet! I want to try red velvet. I would love to try the Red Velvet pancakes. I would like to try IHOP’s Red Velvet pancakes. 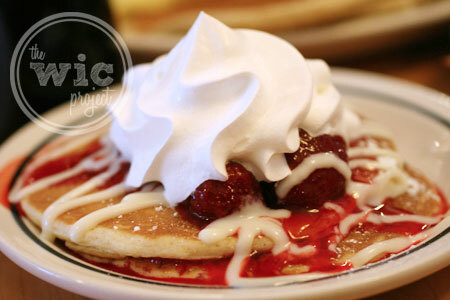 The sweet strawberry pancakes topped with cream cheese AND whipped cream…yum! I would love to try the Sweet Strawberry Pancakes. I want to try the whole wheat with bananas pancakes. Whole wheat pancakes with banana! 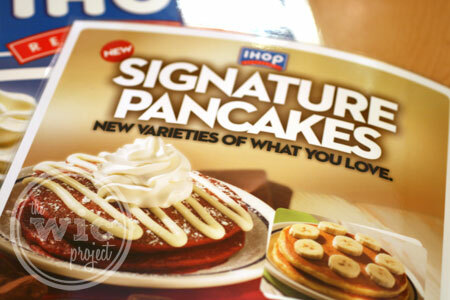 Which IHOP Signature Pancake flavor do you want to try the most? i want to try the red velvet ones.. I would love to try the Red Velvet. I have been craving the red velvet pancakes! pancakes with blackberries on top, love it, GOD BLESS AND KEEP YA’LL SAFE IN HIS LOVING ARMS. I love Red Velvet cake so I’m definitely going to try the Red Velvet pancakes! I want to try the Red Velvet pancakes! I want to try the Whole Wheat pancakes with bananas. The Sweet Strawberry is delicious. I would like to try the Red Velvet Pancakes.. I want to thank you for this awesome sweep and hope to win 🙂 Thanks !!!!! Would like to try the Whole Wheat pancakes! I want to try the Sweet Strawberry Pancakes!! I want to scarf the Red Velvet Pancakes. To go along with the national trend, I’d like to try the Red Velvet Pancakes. I’d like to try the red velvet pancakes. Thanks for the chance. The Red Velvet Pancakes look delicious. I have had their cinna-stack ones…. and other things never tried the Red Velvet!!! 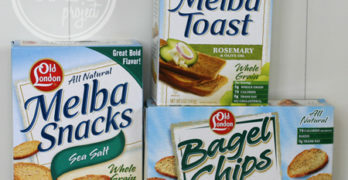 I DO want to try these and soon! Just recently tried red velvet ice cream and fell in love…so now I want to try the red velvet pancakes. I love red velvet anything!!! The strawberry pancakes would be my first pick, yummy!! I’m pretty basic. I like the good ol’ maple syrup. I most want to try the Red Velvet. sounds delicious! Red Velvet pancakes sound delicious!! I’d like to try the Whole Wheat Pancakes with Banana! I would like to try their red velvet pancakes. I would love to try the sweet strawberry pancakes. thank you!! RED VELVET! My sister and I love Red Velvet cake more than anything and she’s been in to IHOP to try these and raves about them! The Whole Wheat Pancakes with Banana! yum!! These pancakes look delicious. I love IHOP! Those whole wheat with banana pancakes sound yummy! I would like to try the new red velvet cake choice, it looks really yummy. Thanks for the chance to win. I want to try Red Velvet Pancakes. The Red Velvet pancakes look really yummy!! i would like to try the red velvet ones. i love the cake, so the pancakes must be awesome, too. Would love to try the Whole Wheat Pancakes with Banana! My favorite are blueberry pancakes…. My favorites right now are their traditional buttermilk pancakes; however I am certainly open to trying all of their other flavors. Espcially their strawberry ones. I love strawberry anything and combining it with their pancake batter has got to be delivious. A winning combination for sure. Banana sounds so delish to me!! I want to try the Sweet Strawberry Pancakes. What could be better?! I’d go for the whole wheat pancakes! I recently fell in love with their Strawberry Banana Pancakes. So yummy!! 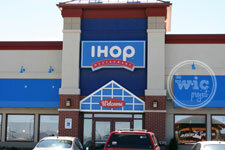 I’ve never been to an ihop, I would love to win the gift card so I can try them out! Never been to IHOP but would love to try the Red Velvet pancakes. We love IHop and the sweet strawberry is one I would like to try! Whole wheat banana sounds fantastic. The red velvet pancakes. Dessert for breakfast? Fantastic! The Red Velvet ones look grat! The Red Velvet sound amazing! I would most like to try the Red Velvet pancakes! thanks!! I want to try the sweet strawberry ones! the red velvet or the whole wheat banana, i can’t decide so I’d order which ever one my kids don’t so i can at least try both. I’d love to try the red velvet.Thanks for the yummy giveaway! I like the Sweet strawberry pancakes. I’m drooling to try the Red Velvet pancakes ! Already tried and love the Red Velvet Pancakes! I want to try the red velvet pancakes most! I want to try the red velvet I am half tempted to head out now to try them! I most want to try the Red Velvet-yum! Whole wheat with banana please! I want to try the Red Velvet! Oh just set me up with the sweet strawberry pancakes! Red Velvet pancakes look really yummy!! I want to try the Red Velvet Pancakes…yum!! Whole wheat with banana! They all look scrumptious. I’ll try a different one each time I come there. I just love their buttermilk pancakes. Sweet Strawberry, no, Whole Wheat Banana, no, wait, Strawberry, quick write it down before I change my min again!!!!! the all sounds Delicious!!!! I would try the whole wheat pancakes with banana at IHOP. The Whole Wheat Pancakes with banana look delish!!! definitely the red velvet pancakes! I’d love the Whole Wheat with Banana. I most want to try the Red Velvet Pancakes. Sweet Strawberry sound real good. Red Velvet for me also! OK I’m not copying, I’m seriously needing some IHOP red velvet pancakes. I love red velvet, but the Strawberry ones are making my mouth water! I want to try the Red Velvet ones. The Sweet Strawberry Pancakes sound good, but I’m really a bit of a pancake purist. Given the choice I’d probably go with plain buttermilk pancakes, butter and no syrup. I would like to try the Red Velvet Pancakes at IHOP. The Red Velvet pancakes sound yummy! Thanks for this amazing giveaway – I would love to win! they all sound yum,but the red velvet sound out of this world!! i would love the red velvet pancakes! Oh wow. Those strawberry pancakes would be my favorite!! I also love their Nutella crepes. I would love to try the Whole Wheat Pancakes with Banana! I want the bannana IHOP Signature Pancake. I am looking forward to my visit to IHOP. I would love to try the Red Velvet pancakes – Thanks! The Straweberry Pancakes are the ones I really really want to decour. I would love to try the Red Velvet Pancakes! Definitely the red velvet! I LOVE anything red velvet. I have been wanting to try the Red Velvet! They all sound so good to me. Red Velvet! Makes my mouth water! Red Velvet pancakes sound great! The whole wheat and banana pancakes! I want to try the red velvet pancakes. They just sound so delicious. I want to try the Whole Wheat with Banana. Yum. The Sweet Strawberry Pancakes sounds absolutely heavenly!! I want to try the Sweet Strawberry Pancakes. A toss up b/t Red Velvet and Sweet Strawberry! red velvet!! I couldn’t believe that they had it when I first read it, I’m excited to go try them. I want to try the cinnabun ones. The whole wheat banana ones look like they would be my favorite. The cinnistacks are totally fattening, but boy are they awesome! I’d love to try the Red Velvet. I would have to say sweet strawberry! Red velvet sounds good. Thanks for the giveaway. I love Ihop. We love the breakfasts and the dinners. It’s a great friendly atmosphere too. Id love to try the Red Velvet!! want to try Red velvet. I would love to try the Red Velvet pancakes. Thanks for the giveaway! I would try the Red Velvet pancakes. I hate to sound like a broken record but I would love to try the Red Velvet pancakes. I’d try the whole wheat with banana. I want to try the Red Velvet pancakes!! I want to try the sweet strawberry ones. I’d like to try the Whole Wheat pancakes with bananas. The red velvet looks really yummy! I love iHop! Their French Toast and pancakes are so good. I’m so glad that they have strawberry syrup because I dislike maple syrup. I’d definitely love to try the Red Velvet pancakes! definitely the red velvet, been seeing pictures of them every where! Oh man, red velvet! Have not been there in years! FOR SURE Red Velvet pancakes!! I want to try the red velvet. The Red Velvet Pancakes sounds delicious! I’am a Red Velvet person…! Sweet Strawberry Pancakes sound good to me, with whipped cream on top! I wanna try the red velvet pancakes. I want to try the Red Velvet Pancakes the most. I WOULD LOVE TO TRY THE SWEET STRAWBERRY PANCAKES TOO! YUMMY GOODNESS! THANKS FOR THE GIVEAWAY AND WISH ME LUCK!